Spring is coming back and with the warmer season we can also observe the restart of the circle of life in the area. The winter 2012 brought icy temperatures and masses of snow which hampered our daily routine as some parts of the CWR were not reachable neither by jeep nor on horseback. 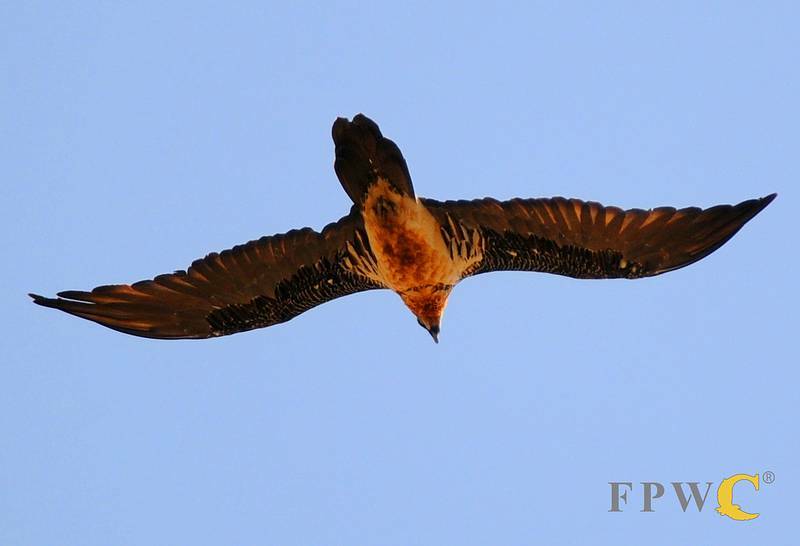 The early spring started with a wonderful surprise: In the first days of March the rangers detected a new nesting site of a Bearded Vulture (Gypaetus barbatus) located in a high cliff. The nestling hatched most probably in March and will fledge by end of May or beginning of June. Bearded Vultures (also called “Lammergeyers”) are very rare in Armenia. According to the Red List of Armenia there are currently only 8-10 breeding pairs of this bird species in the entire country. So we are very proud that the birds have chosen the CWR to raise their offspring. One of our duties is now to monitor the nesting site regular and to secure that no intruders harm the Bearded Vultures. Unfortunately these birds are often killed to be stuffed out and sold for several thousand Euros. With their impressive wingspan (approx. 2.80 m) they are regarded by many rich people in Armenia but also abroad – for example in Russia – as highly coveted decorative items. To stop this illegal practice registration and regular control of taxidermists could be a first step. Another interesting bird sighting is a Saker Falcon (Falco cherrug). This is a large falcon which is listed in the IUCN list of threatened species as vulnerable. In Armenia the bird is very rarely seen and there was never any nesting site traced. According to the Red Book of Armenia there is no information about its population size and trends throughout the country. I suppose that there is a nest in the CWR as I observed two Saker Falcons now several times in a certain area.